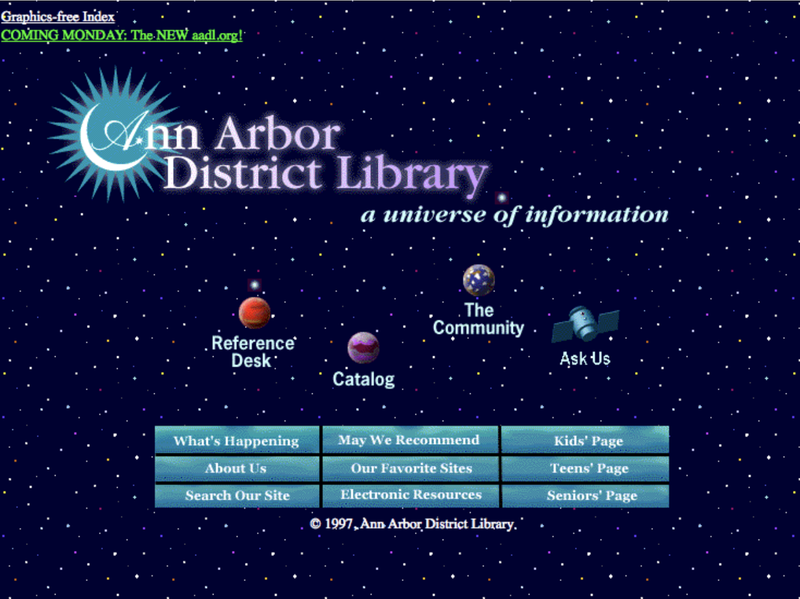 Gentle reader, the Ann Arbor District Library has a brand new website. It's the first redesign of the website since the last version launched in 2005. 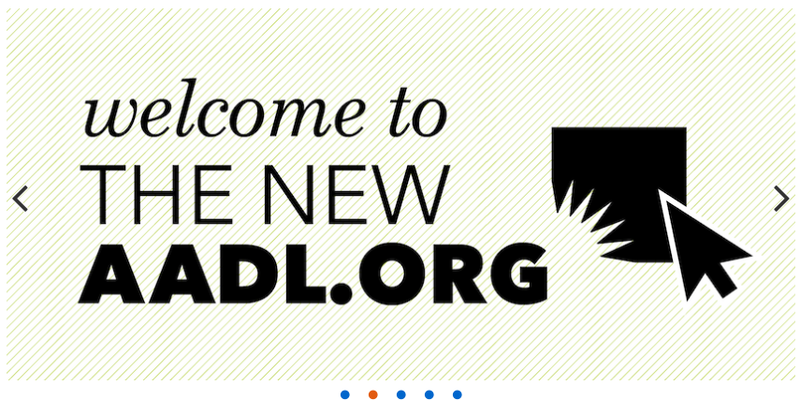 If you want to see what the AADL website looked like before 2005, check out the image below. There is a lot of new stuff to check out on the website. Avid book lovers will love that they can now freeze and unfreeze their requests. With this you will be able to keep your requests from moving forward if you have so many books checked out that you can't check out, or if you're going on vacation. 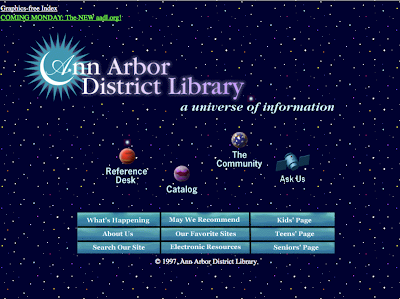 There's also AAMPS, the Ann Arbor Music and Performance Server. It will allow you to stream music from local artists. Other features include bookable rooms, and as a special New Year's treat, the AADL has waved all outstanding late fees. The original AADL website, prior to the launch of the 2005 edition.